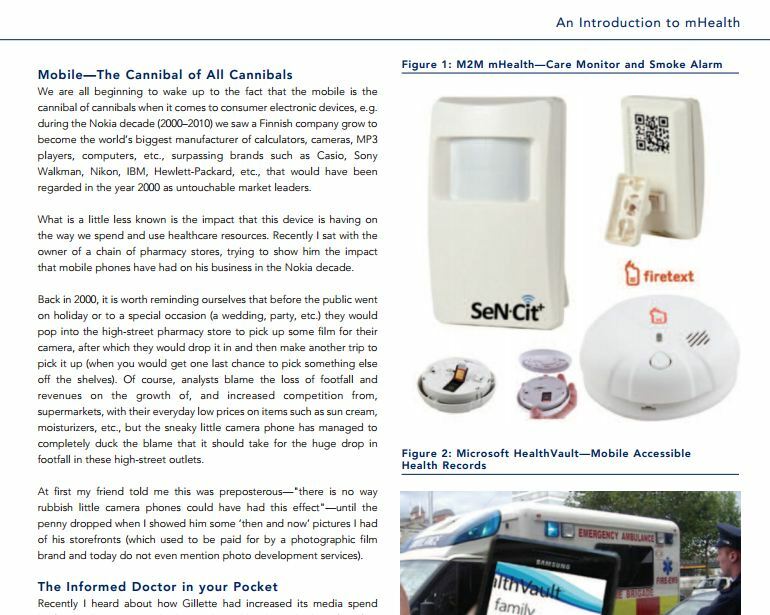 Touch Health Sciences have published my latest “Introduction to mHealth” article designed to help introduce the scope of opportunities to healthcare professionals. Companies mentioned include Alivecor, Apple, Cinterion, Doro, Emporia, FireText, Greatcall, Kaiser Permanente, Medhand AB, Microsoft HealthVault, Nokia, Samsung, SendTech SeN-Cit and Tomi Ahonen Consulting. To view it online click here to register (free), alternatively click here to access a text only copy (4 page PDF).